Our Make It Market Mini Kits are designed for those who love the idea of Betsy Veldman's popular kits, but are a bit more budget conscious. As another perk, these new kits will NOT be limited edition, they will be a regular item carried in our store. These will be released throughout the year randomly, not on a set schedule, so it will be a surprise each month as to whether or not there will be a new one to collect! Now a little bit more of the Make It Market Mini Kit being released this month, Holiday Hugs! 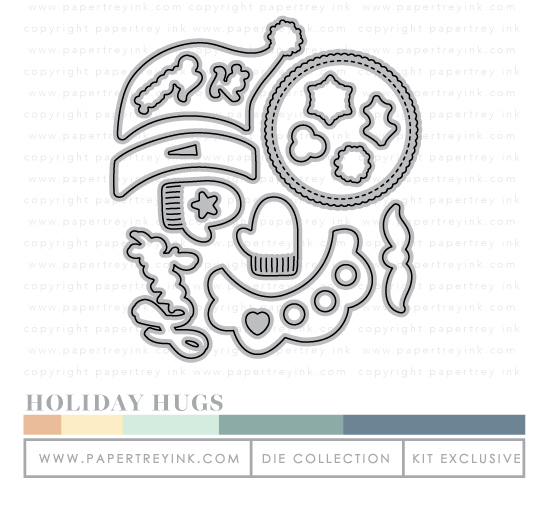 Holiday Hugs is a fun new mini kit and offers so many possibilities. The kit itself contains all of the bits and pieces needed to turn this into a festive santa and snowman. The arms of the characters can be wrapped around a gift card, or candy, mason jar (wide mouth or standard), the new Post & Parcel Gift Envelope, pencils, etc, or just used to cover a sentiment stamped on the tag. They can also be wrapped around the new Kraft Window Tubes we are carrying (available for sale separately). For fun design options and pops of color, there is a stencil that can add patterns to the clothing/accessories that the characters are wearing! 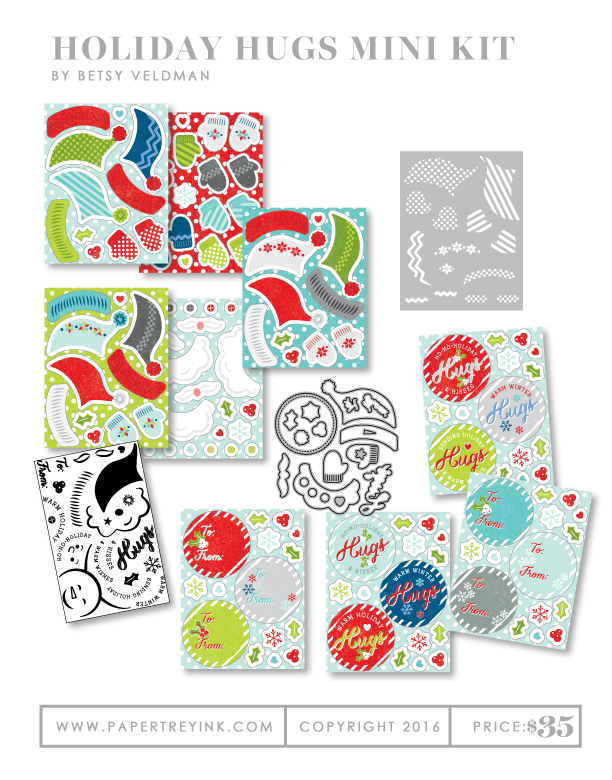 The kit includes, stamps, dies, the stencil and even a collection of pre-printed characters that can be die-cut when you're pressed for time. Here is a closer look at each of the individual items in this kit! The Holiday Hugs stamp set contains some great basics for creating the characters themselves, as well as fun tags and labels to go along with your special packaged treats. Betsy created a die collection to coordinate with the stamps, many of the dies also coordinate with images found on the papers. Betsy included outlines on the sheets so you can easily place the dies on top and run through your die-cutting machine for perfect cuts every time. Mustache: 5/8" x 1 11/16"
Hugs: 1 5/16" x 2 1/8"
From: 11/16" x 1 1/4"
Large Circle: 2 3/16" x 2 3/16"
Holly Leaf: 5/8" x 7/8"
Beard: 1 1/12" x 2 1/2"
Mittens: 1 1/4" x 1"
Small Circles: 7/16" x 7/16"
Hat Band: 1" x 2 1/8"
Hat: 1 7/8" x 2 3/4"
For fun design options and pops of color, this stencil can be used to add patterns to the clothing/accessories that the characters are wearing! As you know, stencils are so quick and easy to use, so you will be able to create an entire wardrobe for your Holiday Hugs characters in no time at all! The stencil measures 4-1/4" x 5-1/2" total. All of the items in the Holiday Hugs Kit are exclusive to this kit and will not be available for sale separately, except for the paper (see details below). The price breakdown of each item is included to help you see the value in this amazing kit! The total retail cost of this kit is $35. NOTE: We will also be selling a Holiday Hugs refill paper collection for this kit as a separate item. It will include 2 sheets each of the 9 designs, for a total of 18 sheets. This refill paper collection will retail for $5 and will be available for sale on release night. 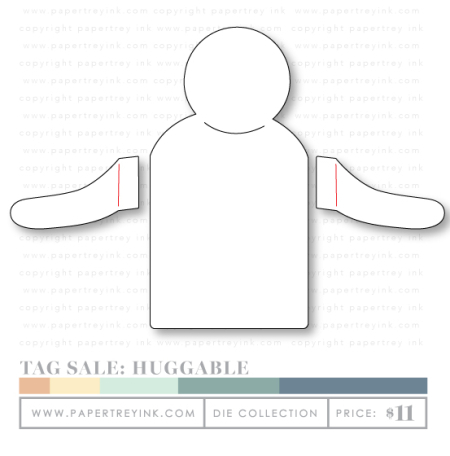 The main base for the characters is a tag shape (Tag Sale: Huggable) which will be sold separately because Betsy has already been brainstorming about more characters to come for other holidays! This tag serves is a universal base to build your characters. As an added bonus, it's large enough to hold a gift card! Tag Sale: Huggable will be available for purchase on October15th. These new Kraft Window Tubes are just the thing to pair up with the Holiday Hugs kit, and more. The interior is wax lined, so any residue or oils from foods you may place inside will not soak through the tube. Coming in at a little over 6" tall, these are a great size to hold all sorts of things, even small gifts. 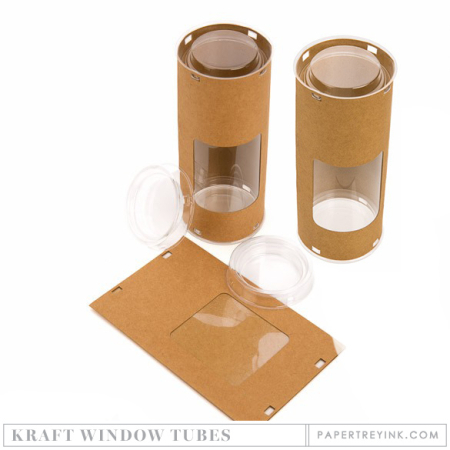 Kraft Window Tubes will be available for purchase on October 15th. A set of 4 tubes will retail for $3. These ship/store flat and are easy to assemble. Each tube measures about 2-1/2" diameter and a little over 6" tall. Amy says, "I love taking small, inexpensive candy and other items and transforming them into unique and memorable gifts with stamps, dies, and paper. The more mass producible, the better! 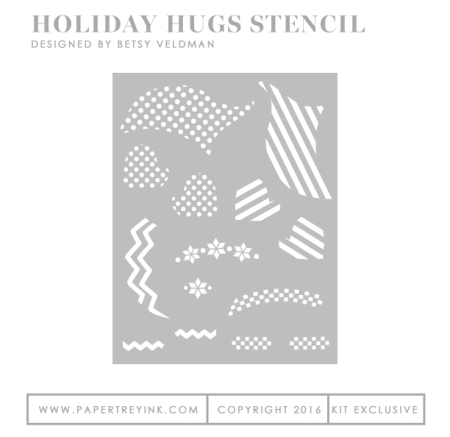 Betsy's Holiday Hugs kit is a dream. I'll take a hug from one of these cute little fellas any day!" 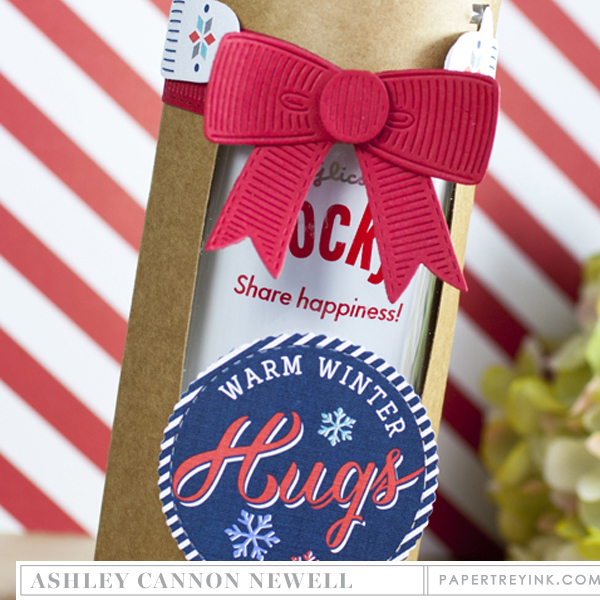 Ashley says, "The latest Make It Market Mini Kit: Holiday Hugs is nothing short of amazing! You can create so many different holiday projects with the kit, including cards, tags, gift card holders, and an array of huggable gift items. I created a gift wrap using a new cardboard container filled with a packaged treat. This is a quick and easy project that will make you look like a rockstar! Come check out my snowman filled with happiness." Betsy says, "Who doesn't love a good hug? These cute holiday characters can wrap their arms around all sorts of different treats and gifts — from mason jars to gift cards, candy, and more. Stop by my blog to see just a few of these possibilities!" Danielle says, "This mini kit is such a clever way to wrap your gift giving for the holidays or for winter birthdays and other occasions! There are so many ways to dress these adorable Santas and snowmen and to use them to jazz up your gift giving. You can make a ton of these with the pre-made papers in the kit or make your own pieces as well with the stamps and dies. I've used my snowman as a wrap for a burlap bag and love how he turned out, so I hope you'll stop by to read more!" Heather says, "What could be cuter than a festive holiday treat for your friends and loved ones all wrapped up in a hug? I can't wait to share this cute Santa and who I am hanging out with this weekend… stop by my blog for more!" Kay says, "You need a quick gift to take to your hostess or co worker and you don’t have a bag or gift wrap available, you can just wrap it in a hug with these adorable new “huggers” in Betsy’s Make it Market Mini Kit: Holiday Hugs. There’s a santa and a snowman, and they are so cute wrapped around candy, gift cards, bottles or small packages! A quick and easy way to make any gift festive and fun!" Laurie says, "Today's Make it Market Mini Kit is oh so cute and makes for a super easy gift! These little guys can hug just about any gift you can think of. Stop by my blog see this adorable snowman and also see who I've been hanging out with this weekend." Lizzie says, "I'm always looking for fabulous new ways to dress up treat packages and gift cards. Betsy's new Make It Market Mini Kit is a super charming option for doing just that! I can see Santa Claus and Frosty bringing festive cheer to my friends all through the holiday season, can't you? Stop by to see how I've used this great new kit to make a simple pillow box truly shine on today's post!" I hope you have enjoyed all these amazing creations that both the team and I have shared with you today! What are your first impressions of Holiday Hugs? What types of gift items do you think you will pair up with it? Which character is your favorite, the Santa or the Snowman? We would love to hear your initial thoughts on everything we introduced! Please leave a comment on this post to tell us what you think of the new products and you will be eligible to win big! You have until 7am ET, October 15th to leave your comment and be eligible to win. Only one comment per person please. One randomly selected winner will be announced on our October Release Winners Page before noon ET the same day. Thank you for stopping by today and best of luck with the contest! This kit is so much fun. I love all those super cute hugables. I love this new kit! It’s so adorable! I can’t wait to get mine! This is such a cute kit! Thinking about how I might use it for give-aways!! What great ideas. So sweet and cute. Thanks to all for another super release. As Always the new release is fab ,I would love to pair it with chocolate chip cookie box and my favorite is Snowman ! Betsy had done it again! This kit is just adorable! A must have for sure! I love the kit! Would be fabulous for stocking stuffers. What a cute mini kit! These are just perfect for stocking stuffers and Christmas party favors! Yay! I love this mini kit and can’t wait for new additions throughout the year! So adorable and dresses up any gift easily. The huggable is super adorable! Everything is super cute from this release! These little “huggers” are just the cutest idea for the holidays! I really like the snowman and the idea to use him with a little pillow box. I give a lot of gift cards over the holidays with children of all ages and sometimes it’s very hard to dress one of those up… this kit will make all the difference! I usually prefer to stamp but the papers that come in the kit will definitely come in handy! What a cute idea. This would be a great gift for teachers and coworkers! Too cute, and so many things to wrap the arms around. Snowman would work well for the rest of winter too. Fabulous new mini kit! The Santa and the Snowman are both so cute! What a great idea for gifts. The creativity is cutting edge…so many yummy choices! The Holiday Hugs kit is so appealing! Love that retro look! Just when I think you couldn’t come up with anything cuter you introduce all the Holiday Hugs products…WOW..totally ADORBS! OMG!! This kit is a must have. LOVE it! Really like the quick gift tags. What a cute idea for gift giving. Give us a hug! The window tubes are a fantastic idea! They fit perfectly with this new mini kit and all the gift ideas. So cute!! Love this for giving teacher gifts and gifts to friends and neighbors! I love the all-inclusive kits! This one is especially sweet! Very cute kit! I like both Santa and Snowman, but the Snowman would work all winter long. This kit would make my baking frenzy very quick cute tags for the goodies I like to give away. Cute wrapping, like the snowman. Wow! Totally love…so much cuteness. Ah-mazing release! Can’t wait for release day to see the full sets!!! Positively adorable! Betsy is wonder woman! Love the kraft tubes too! This Hugs Kit is just too adorable. Betsy’s kits are always so awesome and fun. I love the original products in this one. It would make holiday prep so much easier! And the DT samples are just fabulous. Love it! Holiday Hugs is such a cute kit. I love giving candy gifts at Christmas and this will make the presentation adorable. Wonderful projects by the DT! Looking forward to release tomorrow!! Wonderful kit with terrific possibilities! What a great idea! Love the hugs and so fun with the santa and snowman! Love the colors and the vintage feel of this awesome kit!!! Betsy knocks it out of the park yet again! Easily my favorite mini kit! What an adorable way to package goodies! What a fun kit! I love the cozy colour palette and the hug imagery is super cute! Oh boy, I’m in trouble—I want it all! Such a creative team. This kit is so sweet. I love how you can use the kit in so many ways. It is on my shopping list. such cuteness…the best thing about this is the holiday spirit that fills my heart when looking at all of this loveliness! Love the wrap around snowman. These mini kits are so fun for creating. These are adorable and so versatile! Love them!! This kit is adorable .I have so many ideas for huggable giveaways. The huggable snowman/santa is so cute. The window tubes are an amazing, idea especially at this time of year. They’d be darling Halloween treat holders as well. Super cute and fun! I can think of lots of different ways to use these cuties for gift giving. I just love these new kraft packages! How much fun to give treats out with at card class! The hug containers are so darling. I love seeing what Nicole and her team come up with. Cute. Betsy never ceases to amaze me with her market kits. Always so fresh and innovative. So excited about the Kraft tubes–love new and unique packaging! The Holiday Huggables are super cute! What a great addition to sending off holiday treats. The design team showed so many different things these can hug – just super cute! I love them both! This is an amazing new Market kit. The Holiday Hugs kit is ADORABLE!!! The window tubes are amazing! Holiday Hugs is a hit of a kit. I’m getting inspired to start making Christmas gifts and tags. 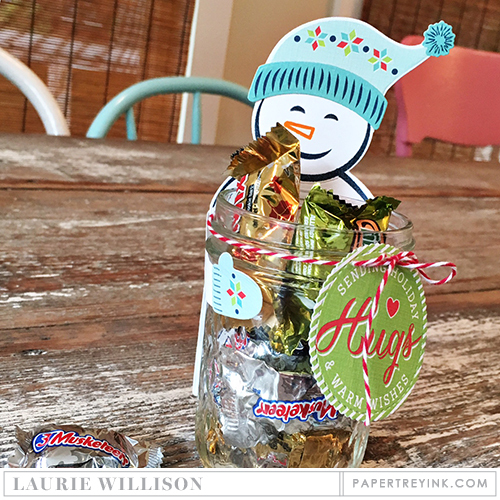 Oh, I am a snowman gal, decorate our dining room with tons of them, so he’s my favorite – what a cute and original treat container concept! I love it! My favorite is the snowman! And the Kraft tubes are very clever. I like all the samples. You could even wrap the snowman around a pair of gloves. Holiday hugs would look cute on my Christmas table. Oh My! As soon as I saw it, I knew it was a must-have. Betsy is killing me and my wallet!! Hugs candy jar so cute! would make great desk gifts for coworkers. These are the cutest!!! Love those happy faces! An adorable concept filled with so many possibilities! Love the hugables! What a great idea. Super color combos in today’s samples, too. What a way to send a hug! Hugs to all of you who came up with this holiday fun idea! ? Another cute kit from Betsy! What a creative and versatile set. I love it. What a cute kit! It will be in my cart for sure, along with lots of other PTI goodies. This is such a cute idea, a great way to dress up gifts! I love this huggable concept for a line of products, very unique. The huggable is very versatile, and combining it with the kraft window tubes and the holiday hugs stamp set, would be a great gift for teachers and friends. These might just be the perfect gift to make for my coworkers! I love the different things you can ((hug))!! What a great gift giving kit! I love holiday hugs. Great way to gift wrap Christmas gifts. This release as usual is si cute! Love those tubes, I can see so many uses. The hugging snowmen, so cute! What a fun kit! I love to make gift packaging. These are so cute! Such a sweet way to present a treat or gift card! I love all of the projects today! Oh I just love this Hugs kit. My mind is spinning with all of the creative ideas that can be done with these. Keep up the great work. Such a great release this month. Love the Holiday Hugs. So many fun, different ways to use this kit! Great idea, Betsy! Wow, what a cute kit. Always love to dress up my packages. Adorable inspiration from the dt. Just love this cute kit. Such a cute idea, and they look so easy with all the preprinted items. So cute. And the projects are all so adorable. Adorable Mini Kit and projects today!!!!! I love the little gifts ideas. I mostly give money at Xmas time. These would work well for that. 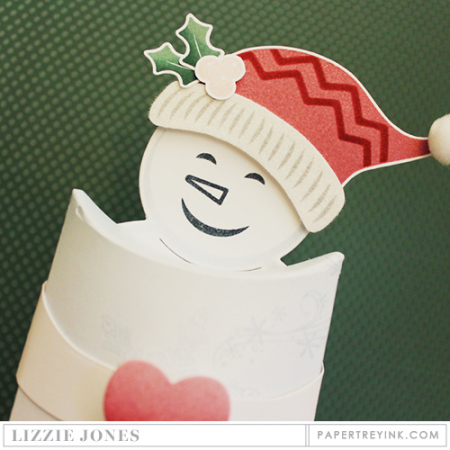 Love the snowman wrap – too cute! Oh wow! The Holiday Hugs Mini Kit is really amazing!!! All these projects are absolutely cute and smart!!! Love them!!! Santa and the Snowman are so sweet!!! What a fun kit!!!! Love it! What a cute idea and fun way to give hugs! I am loving this kit! What a great gift giving idea, can’t wait to play with it! Wow! I’m totally in love with the huggers, and they’re so versatile. The Kraft tubes are perfect for all kinds of treats, including my traditional holiday “bark”. Love it! What a super cute kit! Love that snowman and my Grand kids will love the sweet Santa. I can’t wait to get my hands on this kit! Adorable Holiday Hugs kit and pairs perfectly with the Kraft Window tubes! I will have some tough decisions to make with the October release. ? Very cute kit – Love how Santa and the snowman will fit with everything from a gift card to a mason jar! The treat tubes are a great packaging option, too. Fun new kit! There are so many great things in this month’s release. Super cute!!! Must have for everyone! These are so cute–Betsy is so creative! Betsy has done a wonderful job once again. How very cute! And more characters coming? Yay! The Holiday Hugs are adorable! What a useful idea for our holiday wrapping. Such a fun kit and clever wrap around design! Great idea to dress up the small gifts for groups! This kit is simply adorable! It is just the perfect gift set! I am always in awe of the creativity displayed at Papertrey Ink. You always lead the pack in cleverness and the results are always a perfect combination of artistry and engineering. Just so well done! Holiday hugs from family are always the best! Okay, this is tooooo cute. Love all the projects and you know everyone can always use a hug! What a cute set! So many uses for the holiday season. Absolutely love this idea, thanks a bunch for the Hugs. Fun stuff today! Love the snowman….super cute! Such a great little kit. A quick and easy way to give a cute little gift to anyone on your list. Exactly what everyone needs….a warm, friendly, happy hug. Add a little treat or small gift and it’s even better. What a great mini market kit. Really great. Thanks for the fun and versatile sets. Oh my goodness, how cute is this! What a cute set and I like the food tubes too! Like the gift tag option too! Thank you for such a great release! The holiday hugs is a wonderful new addition. Many things can be done to make gift giving unique and personal. I’m a softie for any thing snowman, so that’s definitely my favorite. This release is just fantastic! Tons of great was to personalize gifts and make handcrafted items. I’m officially in love! Super cute–the snowman is my favorite! Hugs to the design team for this cute addition. I can make all kinds of fun stuff with the new huggable set. Too cute! I can feel the love and hugs from this adorable Santa and snowman and what a great way to gift your goodies. Amazing, Betsy, and the DT showcased it well. This kit is just so huggably cute! So much fun for gift giving. The Holiday Mini Kit is darling. Who doesn’t need more “hugs” anyway?? Really cute idea! Love all the samples. So cool! Love the new packaging! Holiday Hugs is an ADORABLE set! How cute and fun—what a great mini kit!!!! Such cute gift idea projects. The Holiday Hugs are so fun! The snowman is my favorite. The DT had lots of great ideas for what he can be hugging. Another idea is rolled up bills. Great gift giving ideas. Such a cute Santa and Snowman! The Holiday Hug mini kit is absolutely adorable – makes great gift giving packages for co-workers, teachers, clients and neighbors. What a fun kit!!! I love giving mason jar gifts for the holidays! This is perfect!!! I am blown away by the adorable Holiday Hugs. I love that you can use them on a variety of gifts and even gift cards and tags. This mini kit looks perfect to get alot of projects and gifts done fast and cute. This will surely make some adorable projects & gifts! Adorable mini kit. I love that the tag sale die will be used for other characters later. More fun to look forward to. I am in LOVE with new mini kit …. Betsy keep the characters coming!!! Oh my goodness!! 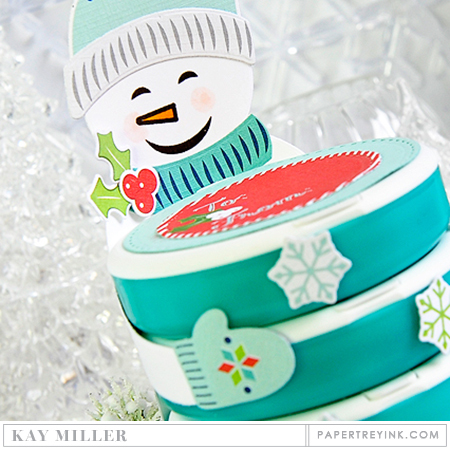 This Holiday Hugs mini kit is just adorable, and so great for gift giving!! My mind is racing with Fun ideas!! This release is amazing. I must sit down and figure out what I don’t want to live without!! Love your project idea with the tubes. Those snowmen are adorable. I am so excited about this new release especially this new mini kit!!! Oh gosh this new mini market kit is ADORABLE!!!! Oh my goodness, these wrapables are adorable!!!! What a great idea. You rock Betsy. I love the snowman, so cute! I’d give him candy. I LOVE the Mini kit! So cute! I can’t wait to make some stuff with it! Oh wow my wish list keeps getting longer and longer with all these must have new items!!! What an adorable idea! Another great release! Holiday hugs kit is too cute! Oh my! These adorable HUGS are my favorite so far! Love the tubes. Our daughter is a HUGE hugger but lives on the opposite side of the country so she will love to get these Huggers as a little surprise – looking forward to future releases of them! 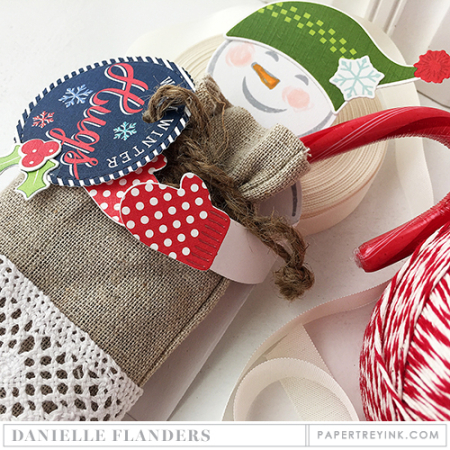 That snowman hugger is so cute!Love the DT creations!Can’t wait to order this mini kit! Betsy is such a clever designer! I hope you have lots of those tubes to go around!! You are really putting me in the Christmas mood! Such cute ideas! What an awesome mini kit! Love it! These huggables are so cute!!! Love this mini kit and that it will have additions. It is definitely going in my cart on release day! So many fun and cute projects! You guys rock! A smiley snowman’s face and a hug too. So much fun! What a cute idea — who doesn’t want a hug? These are just precious. Love those sweet little faces! This is such a cute kit! Betsy has outdone herself again!! Definitely a must have! betsy has done it again with another super cute make it market mini kit!! all the projects are just so cute!! Such darling ideas with these fun new products. I can’t wait to get some kraft window tubes. How fun!! How CUTE are the Huggables! What a fun idea! I love the little Snowman, and the trims on his hat. A great idea PTI. ? This kit is too cute! Another must have! This kit has so many possibilities! My mind is overflowing with all the things these guys can hold. So so cute! The release has been wonderful as usual. A great mix of elegance and whimsical. Just in time to gear up for the cooling temperature and changing seasons. Adorable!!!!!! What a great packaging idea! The Holiday Hugs are adorable! Santa is my favorite, but love the snowman, too. So Cute! I’m loving the Snowmen holding all the little gifts and treats! What cute snowman huggers! I would hope for kitty and bear huggers in the future! Holy cuteness Batman! This is a must have!! Those tubes are a neat idea, and the snow man is adorable. Great release! Oh I LOVE these holiday hugs products! A must have for Christmas gifts!!! So cute! Great job, Betsy and PTI! Cute idea! I’m always a fan of snowmen. Wonderful kit. Everyone likes a hug at Christmas time. Again a great idea from Betsy! I love this new kit! It’s so adorable! So much nice projects from the team! Love the huged pillowbox! Making my list and checking it twice! Adorable projects today, and I am getting anxious to shop! Fabulous holiday release! Super cute mini kit, as always! How Cute!! Love the Holiday Hugs Mini Kit. I’m ready for reveal day. Thanks to all for sharing their inspiring creations. Such a great idea. Love the snowman design. Holiday Hugs is really cute. The snowman in the kit is adorable, just what you’d expect a hugging snowman to look like. A great new kit with wonderfully bright colors !! Personally, it is too cute but that is a matter of taste. Cute, cute, cute. I love that there will be more added to this set later in the year. Love that this kit won’t be a limited edition one since my funds are low this month. The holiday hugs are a great mini kit. I love the colorful items the design team has made. Thanks for sharing all the cute ideas and the opportunity to win. Can’t wait to order. lOVE the Mini Kit: Holiday Hugs along with the tag die. I think my favorite is the snowman and loved what Melissa did with hers. I’m envisioning Santa’s being used on the Christmas eve table…maybe holding the napkins in some kind of a fun fold or maybe holding treats. I could also see the snowman on a hot chocolate bar…my mind is in high gear creating already! Great ideas – those Kraft tubes are awesome! This new set makes such cute packaging for gifts. Love it! Oh, these are so adorable. Love the concept! Those mittens and hat and all the other elements look amazing! Oh my gosh, Betsy is amazing. How does she come up with so many ideas for kits? this is just too cute and fun for the holidays, but knowing she is already thinking of other characters makes this a must have. To heck with the Budget! I’m just going to buy myself an early Christmas present with this adorable, huggable, set! Oh my–how cute. My favorite is the snowman. What a super kit! The huggable idea is just fabulous and I can’t wait to see Betsy’s further ideas as well! Such a cute idea! Now off to see the design team projects! What a creative team you are! Great new products! Holiday Hugs is amazing – like all of Betsy’s kits! Betsy is so talented and so thoughtful about her kits! Love them! Wow, this kit is so much fun, can hardly wait! So cute! Having the patterned paper co-ordinating with the dies is a great option for quick holiday crafts. All the ideas are amazing! Just love this kit so much and can’t wait to purchase it. EEK I LOVE the HUGS!! 🙂 So cute.. I cant pick they are darling!!! The new hugs mini kit is a fabulous idea! I sure hope there will be some add-ons for other seasons. Very cute! I’m liking the bright colors and I know that my mother will LOVE the Snowmen! Adorable! Would be great for teacher and coworker gifts. Oh man! I love the snowman huggable. It’s so cute!!! The Holiday Hugs ensemble is so cute!!! So many possibilities. Great examples by the design team! What a “hug”able kit. Love! Need a hug anyone? I know that I do, and some pretty stamps to, I think. Betsy’s new Make it Market mini kit is so darn cute! I love it! I can’t wait to see what she has planned for other occasions with the main die cut! Such an adorable new kit. Love the hugs. The new Holiday Hugs set is adorable! I especially like the snowman! Great idea! Love these little guys. 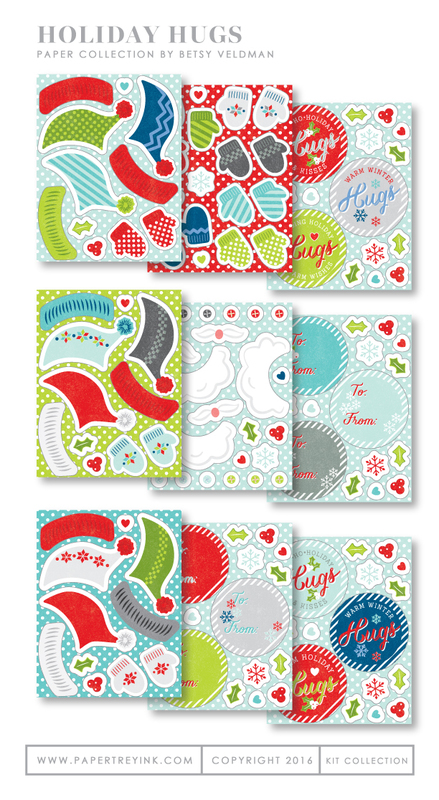 I am loving the Holiday Hugs mini kit….adorable samples from all of the designers too!! How adorable. The snowman is so much fun! I can see endless possibilities for theese huggers. No surprise, Ilove the new kit. The snowman makes for an adorable holiday package. Home run to Betsy and teh DT. The Holiday Hugs are so cute. They would be great for teachers to use to give their students little gifts. Great to use for items to be given to the neighbor kids. Fun kit. 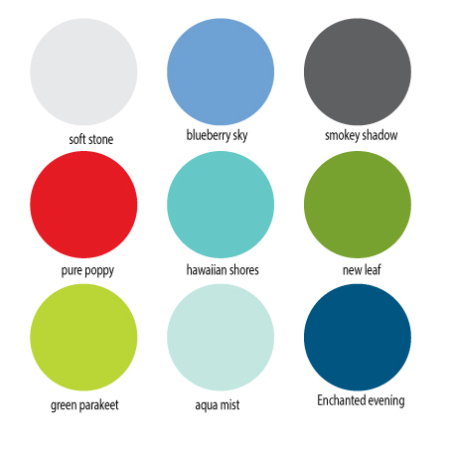 Unique holiday colors. This mini kit is so clever! The snowman is adorable…perfect to adorn a container of marshmallows for hot cocoa. Just wonderful! Can not wait! I can see all sorts of possibilities for this kit and holiday gifts. Can’t wait to have this at my house! This mini kit is completely adorable!! Dang it! these are cute! So adorable!!! I am always blown away by all the offerings during a release. Can’t wait to shop!!! Love the colors in the paper pattern that is part of the set and the idea is so cute, made me smile! What a cute idea! Love the new little tubes. I’ve got to think of how I could make these work for teacher gifts this year. Super cute! Love this fun gift idea!!! Another beautiful kit from Betsy! I so look forward to seeing what she is up to! She always has something new and beautiful. What a fun looking kit!! So much holiday goodness!! Betsy is hitting it out of the park with these kits!! These “huggers” are gorgeous! Love them! Sooo cute, these are the best for little christmas gifts! Amazing design! Betsy has the best ideas, and I’m loving the style of these characters. Those tubes are a fabulous find and they are AFFORDABLE! That’s one big hat Betsy is pulling her ideas out of. What a fun kit! I can’t believe Betsy had TWO kits this month. She must be so busy designing! That little snowman is super cute! Thank you all for a great release. Love this newest MIM mini kit. What fun little treats for neighbors and teachers! And, what a great project for the kids to help out with. Adorable! Wow! Christmas crafting will be so much fun with the very creative holiday hugs!! Fun to have products to make things besides cards! I like the snowman. Looks like a great kit. Betsy has created such an adorable kit. Love the tubes too. Love the treat containers and the fact that they store flat is just wonderful! Fun kit. I love giving kits as gifts to people with limited supplies. It gets them started and they have so much fun. This kit is absolutely adorable!!! I am always looking for cute gift packaging for my work gifts. I love this!!! Oh me ! So many wonderful things! !Love the huggable ideas! Love the Kraft window tubes. We can never have too many goodie container options! I love the snowman!! He reminds me of the style used for the snowmen when I was a little girl … Betsy’s creations are always delightful! The Holiday Hugs Mini kit is so adorable. I can imagine so many ways to dress up my holiday gift packages. I also love the Tiny Town Gingerbread dies. What a great release! So much awesomeness in these clever packaging ideas. This is one of the cutest kits I’ve seen, so many possibilities. This is just too cute! Can’t wait to make some cute gift for Christmas! So happy to see more packaging ideas! Oop! Wrong day comments! Love the cute snowman! 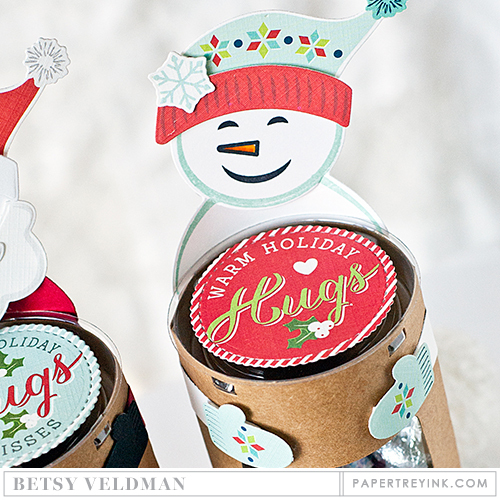 I really love these cute holiday hugs projects–so adorable! Excited to see what other holidays Betsy creates these for! Love the Window Tubes! I can imagine using them year round, for all sorts of things! What a terrific idea! I think I like snowman the best. Very cute kit, perfect for the holiday gift giving. Can’t wait for the release. The huggies are adorable. I love the mini market kit! So versatile. Very cute way to present a gift. I think both the Santa and Snowman are cute but the snowman can be given from Dec-Feb so to me its more versatile. Those Kraft containers are fabulous! I can’t wait to decorate and fill them. WOW! This kit is fantastic! So many details! Just love the new MIM mini kit by Betsy. What a special way to dress up a small token or gift card. Betsy, Betsy, Betsy! Loving the Holiday Hugs kit. The each design team member puts it’s own unique twist on the products. Great job. Darling! Great projects. I love the colors in the kit. This is my favorite release! Wow, so many wonderful products to bring hours of fun and joy to so many. Who wouldn’t like a Hug?!! Sweet! Love this! Would be great for classmate gifts for school parties or stocking gifts! Oh, my goodness, so clever and cute and creative! Love the new hugs kit! What an adorable way to give a treat or for favors. Holiday Hugs is awesome. Love it! This is fabulous and I can’t wait to see what other characters you come up with! I’m taken by the Holiday Hugs and all the posibilities for using this set, that the team and Betsy shared. Delightful! What a cute idea – love the tubes which you can wrap the hugging characters around! Adorable way to bring smiles and big hugs! Such cute and fun products! What a cute set! I can envision so many cute gifts made with this set. What a great idea for gift giving! Love it! Omg I love this holiday hugs kit!! I must have it! Just adorable! Cute! This will be perfect to package little treats. Cute! Especially the hugs tag die! The holiday hugs are great – so many different ways to use them. Such a cute idea for gift packaging. Such a cute kit. Great ideas for Christmas gift giving. The Holiday Hugs Mini Kit is fabulous. It will be lots of fun to use for a wide variety of winter gift projects. This release (and the last) really have me ready for holiday crafting! This kit is amazing. And the craft tubes are going to be great for all sorts of edible gifts. Lovely! Love the Holiday Hugs kit! So cute! Betsy comes up with the best ideas! Love the snowman hugging the containers of candies! That’s a perfect little holiday gift! I love these huggables, super cute and fun holiday ideas and different too! What a super fun kit! The snowman is my favorite, and I like the new window tubes. Thanks! How cute is that? What a clever idea. 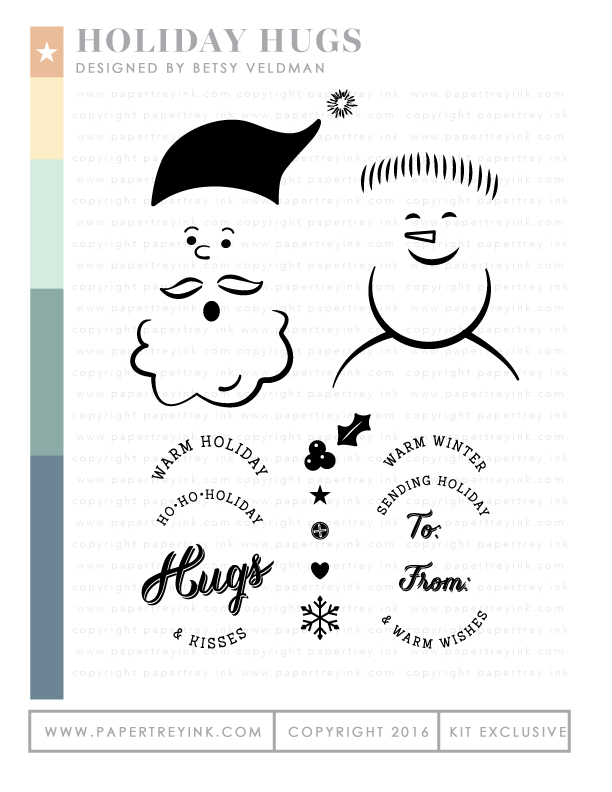 Love the stamp set in Holiday Hugs. Those faces are adorable. I totally love the new snowman/santa hugs kit! I think I would have to say the snowman is my favorite that I would make. Such a cleaver and unique gift giving idea! Love ALL of the projects from everyone! The new releases are always so much fun! SO cute! Great ideas for gift-giving – you’ve made it so easy! Once again….I’m in love! Thanks PTI, you never disappoint!!! Awww! These seem cute and fun for people of all ages! Love all the ideas! OMG!! I am in love with this little kit!! So many adorable gift giving ideas!❤️? I love them both but that snowman makes me smile!!! I love the idea of the kisses inside the jar…just too sweet! Such a terrific release. My favorite time of the year. This is the cutest set ever. This release has been amazing. Loving the “Hugs” kit – what a clever idea! Wow! Very exciting, as always very creative ideas. Aw, adorable! The Make it market Mini kits are such a terrific idea, and great value! There is lots to like about this release. Yes! This is what I needed. There just don’t seem to be many stamps & dies out there for gift giving. What a sweet set! Looks like a gift giving hit. Smitten for those little mittens! Love all your kits to make 3D stuff! This is awesome. Love the holiday hugs – so cute! Another clever idea from Betsy! These are just too cute!! Oh my word…these little huggable sate the sweetest. I only want to give treats for Christmas so I can package them up with this set! Love LOVE love everything about it! The snowman looks so happy it just makes me smile! The mini kit is adorable! How cute is that! A fun new kit and I love the treat tube. Some great projects from the DT today. Love the retro vibe of this kit! Betsy does it once again! Betsy does it once again! This is such a cute idea. I love the Santa. I’m always on the lookout for fun new creative ways to dress up gifts for the kids’ teachers. I love Betsy’s fun hug mini-kit! Let the holiday crafting begin!! There is so much to love again this month. It’s taking quite a while to make it through all the blogs – too much to look at! It will be a lot of work to pare down the list, but thanks for the chance to win a gift certificate. Great mini-kit! Really cute projects! Love the holiday hugs – especially the snowman! These huggables are the cutest darn things!! You could use them in so many ways…. how fun!! Love, Love, Love!!!!! This kit is so very awesome – it’s a must have. What a cute way to present Christmas treats! Love the snowman! Such a cute face! Love love love holiday hugs!! Can’t wait to try the,mouth! Another great Make it Market kit! How fun! It always blows my mind at all clever and crafty ideas you all come up with! I wish I was half the creative genius you all are! Adorable faces!! So many ideas! Holiday Hugs are just too adorable! My favorite is Santa, it’s super cute with the Ho-Ho-Holiday Hugs & Kisses. This is such a sweet kit! A must have! Loving the huggable mini kit. Cannot wait to see even more characters in the future. How cool. What a perfect Christmas kit, Betsy! I can’t wait to start creating for all those special people in our lives! Those huggable tags are so cute! I just love what everyone has done with them! This is the cutest idea; I love it. This kit is adorable!!!! I can think of a lot of people that receiving this would bring them so much joy!!!! Such a precious way to present holiday treats to your loved ones!!! Love this little guy!!! Fabulous projects! Awesome gift ideas! The Holiday Hugs Kit could not be any more adorable! I love it! Super cute kit! So many of my projects could use a “hug”! What a cute idea for a kit. Great for the holidays. Hope there will be a follow up kit for other seasons. the holiday hugs kit is so adorable! These kits bring gift presentation to another level.So cute!! These are darling! I love how the team used the kit to ‘hug’ the new envelope die!!! Adorable! What an amazing idea for gifts!!!! Love it!! OMG! I must have this kit! It’s awesome! Love the hugs, very cute idea. Everyone loves a hug, and these are so adorable! What an awesome idea for office gifts, I can’t wait to get this set! Well The cute factor in this kit is unbeatable! Such a fun way to create unique gifts for the holiday season. Wonderful idea for ideas. I’m drawn to the snowman as I think it has more options. It reminds me of the days I made everyone gifts with this size gifts for neighbors. I could start again as this kit gets me half way there. Too much fun – the possibilities for bringing joy are endless!! This kit is so adorable! A must have. I love the Holiday Hugs Mini Kit! Makes such cute little gifts! What an adorable kit the Holiday Hugs is!! So many things can be created with all the fun details. So cute! Love these containers!! I always need packaging ideas this time of year. A sweet set for holiday gift giving. Love the bright colours. I love the Holiday Hugs set-so cute!! What a fun kit! Love all the different color combos you can get with it! This is such a cute kit. I cant wait to get it and play with the stencils. What a fun idea – a gift plus a hug! The creativity of Papertrey designers always surprises me. Such fun products time after tiMe! Like the hugs with the snowman the best. A lot of possibilities. Such a fun kit. The snowman is my favourite. I love the creative ideas here! Love! Love! Can’t wait to make these and pass out as gifts. My favorite is the snowman with the mason jar! These are adorable! These make any gift sweeter to receive and give! This is such a great little kit. What a fun way to give a gift to co-workers. Thank you!! The snowman stole my heart….what a sweet set! The holiday hugs are so adorable! Such a cute way to package goodies! So many cute options for decorating and little gifts! Love the Huggable and Holiday Hugs. My family and I have started a tradition of making hot cocoa in the crock pot before we head out for a ski or snowshoe trip. I make it from scratch with milk, cocoa powder, brown sugar, cinnamon and a vanilla bean. The magic ingredient is the cinnamon- it thickens the cocoa as it simmers to a nice creamy consistency. It’s lovely to come home to a nice hot cup of hot cocoa after a long and chilly trip in the snow! The hugs are such a fun new idea. I always put little gifts on my Christmas breakfast table, and these will help me make them adorable for the grandkids. Wow, what a fab kit, love the hugs!